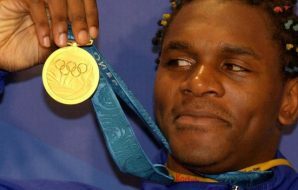 Audley Harrison’s career came to an end some thirteen years of hype and empty promises after he first turned professional. The final act itself lasted a mere 70 seconds when he was stopped by Deontay Wilder in round one on the 27th of April 2013. He had told us beforehand that defeat would signal the end of his career. 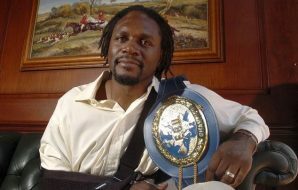 Well, the inevitable defeat did happen, but it took Audley Harrison until March of the following year to officially retire. Worryingly he must of had some notion of fighting on before he finally saw sense. 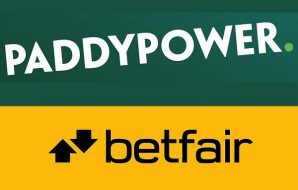 Winning Gold at the Sydney Olympic Games in 2000 gave him a great platform to launch his career, which included a one million pound terrestrial TV contract with the BBC. I went to watch one of his first professional fights, which now seems like ages ago, and have always liked the big guy, although that is more down to Audley the man rather than his achievements in the ring. 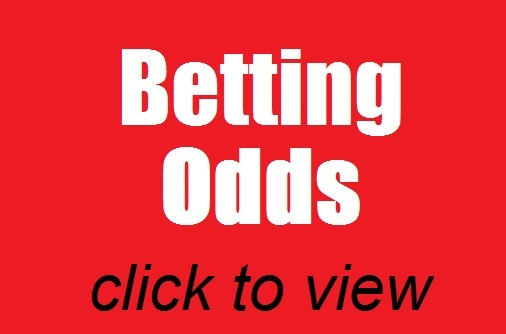 hould have been done on under cards, not as the main event and under the microscope. Unfortunately a lot of pressure and expectation were placed upon him from the very beginning and the public quickly grew impatient. Harrison himself must take some of the blame here, as he was making so many bold, ambitious claims from the offset while still learning the ropes against low quality opposition. His decision to set up his own promotional company instead of signing with one of Britain’s big promoters also back fired. In fact, it even put him at odds with some of the promoters in the UK. 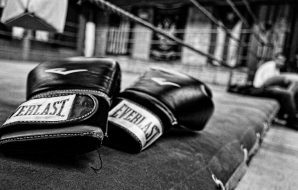 People such as Frank Warren have years of experience and have respected match-makers working them – they know perfectly well how to guide a boxer during the early days of his career and develop him over time. Audley, on the other hand, never really brought in any decent opponents which would have helped his progression in the early part of his career. What’s more, these low level opponents often brought much criticism from the media and his skills never really developed from those early days. 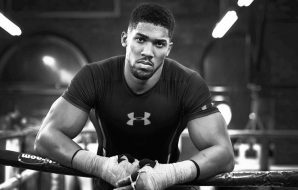 He did eventually sign with Frank Warren, but that was quickly followed by defeat at the hands of Michael Sprott in 2007 when challenging for the European Union title- a fight he was winning before being caught and dropped. 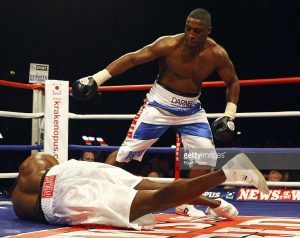 Audley Harrison vs Michael Sprott. Photo courtesy of Getty Images. Perhaps the biggest problem was that Harrison very rarely got ‘stuck in’, which is surprising when you consider that he is 6ft 5ins tall, a southpaw, and had decent ability. David Price seemed to agree with this point stating, “Audley has struggled to show fighting spirit and it has been close to non-existent at times, which has been his problem. None of us want to get hurt, but Audley crossed the line to the point where he actually seems to be scared of getting hit”. Indeed! What good stuff? Some of you might ask. Well, if you think about some of the things Audley did achieve in his career, then I’m sure a lot of young boxers would aspire to that. Let’s start with his amateur career. He won gold at the 1998 Commonwealth Games and then in 2000 became the first British boxer to win Olympic gold in the Super Heavyweight division. He was later awarded an MBE for that achievement. 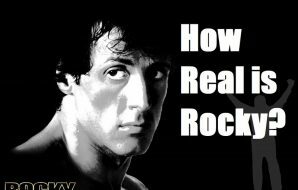 In the pro ranks Ring magazine identified him as a hot prospect in 2003, and he then picked up the lightly regarded WBF title the following year. 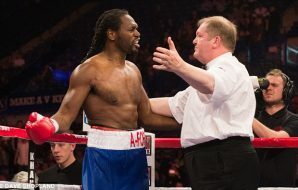 Audley went on to win a Prizefighter tournament in 2009, knocking out two of his three opponents that night, and won another Prizefighter tournament again in 2013 becoming the first man to do so. as, European champion, and he had dug deep and shown the kind of spirit lacking in so many other fights. I was genuinely delighted for him that evening. There were other examples when Harrison showed fighting spirit, like in the destruction of Danny Williams in their second fight, and a gritty performance against rugged, brawler Martin Rogan. And that frustrated many fans- the fact that he could ‘turn it on’ at times, but not often enough. Finally, he did actually challenge for a legitimate world title. 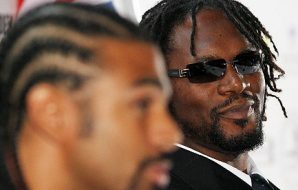 We all know how that fight with David Haye turned out, but Audley did always tell us he would fight for the heavyweight championship of the world, and that he did. He did later reveal that his damaged pectoral muscle hadn’t fully healed going into the Haye fight, but the money on offer was too good to turn down. Whether that would have led to an improved performance is open to debate, but I honestly don’t think it would have changed the result. 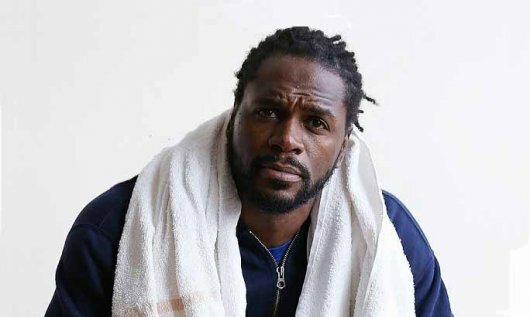 Bowing out with a record of 31-7 (23) and no world titles or big names on his CV isn’t exactly the stuff of legends, or what Audley would have hoped for back in 2001 when he first turned pro, but Audley will leave a different kind of legacy. Speaking to IFilm London about how his gold medal win helped future British Olympic boxers, Audley said, “I needed to win the gold medal for us to become a world class performance sport. We are lottery funded because of my Olympic Gold medal. My legacy is secure. They [modern British Olympic boxers] are training full time in Sheffield. They have a performance director, a psychologist, their own chef, and all that is because of lottery funding- I was instrumental in getting us funding”. Even former conqueror Price commented, “Audley winning Gold inspired a lot of people”. I’m sure a lot of boxers were indeed inspired. 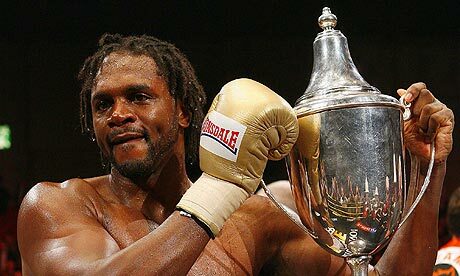 I do give Audley Harrison a lot of respect for the fact that he has always done things his way. He set up his own promotional company to look after his own career, and he never gave up on his dream of landing a world title. There were many set backs along the way, and he was written off after every defeat, but Harrison didn’t stop believing that he would one day challenge for the heavyweight belt – something he did actually achieve. Any man that is prepared to go against the grain, to be an individual and to show determination in the face of adversity will always gain my respect. He will probably be best remembered as a great public speaker who could always sell a fight, but ultimately as a man that promised so much, but truly under-delivered. Audley, you always attracted a lot of public attention to boxing and you are indeed “cut from a different cloth” as you once said. I enjoyed having you around – it certainly was eventful. Enjoy your retirement.